anyone like this as much as me – WhatZupBristol! 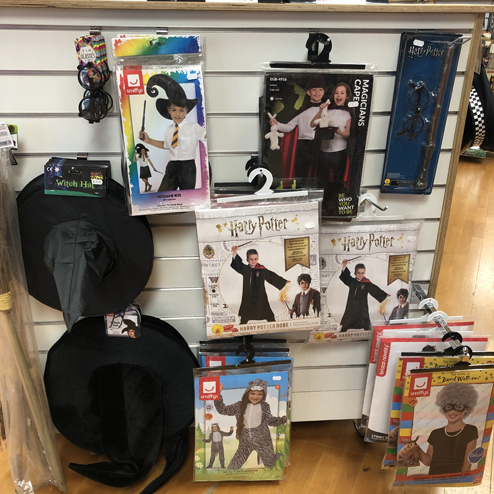 Thursday 7 March is World Book Day and Fun Warehouse have given us their top tips for tip top costumes. It’s an everyday parenting nightmare…you root through your seven-year-old’s book bag and come across a crumpled letter from school, dated two weeks ago, letting you know that this Thursday is World Book Day and your darling child has to go to school dressed as their favourite book character. It’s easy to forget that fancy dress is supposed to be fun! 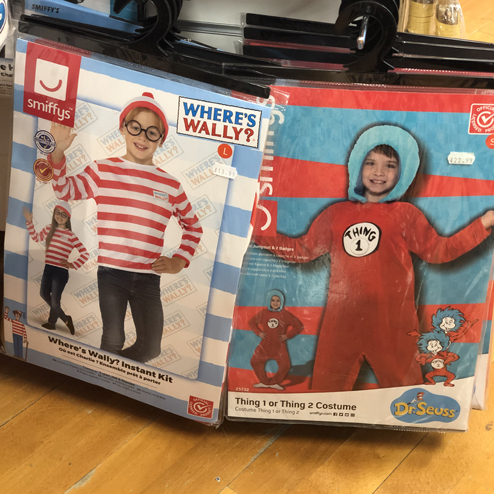 Sally Quigg owns Fun Warehouse, an independent family-run fancy dress shop based on the middle floor of The Galleries shopping centre in Bristol Shopping Quarter. Over the last few years they’ve helped hundreds of parents put together costumes for their children, whatever their budget and timescales, and she wants to help take some of the stress out of World Book Day on 7 March by sharing her fancy dress top tips. 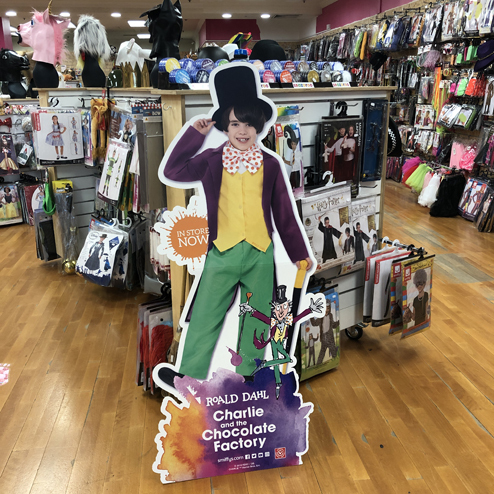 They have lots of choice for children and adults this Book Day and love nothing more than helping customers find their perfect costume, whether that means piecing together wigs and accessories to finish off a home-made outfit, or choosing from their range of complete costumes. 1. Raid the dressing up box. It’s amazing what can be adapted or reused from old costumes tucked away in a dressing up box and if you don’t have one, now’s the time to start. A vintage suitcase makes a cheap, practical and attractive ‘trunk’ and from the age of four or five kids can get away with most adult costume accessories. 2. Think accessories rather than a full costume. Not only are accessories cheaper to buy, but your child won’t grow out of them so they can added to the dressing up box and re-used again and again. 3. If time and ease are your priority, buy a complete costume. The fancy dress world has pulled its socks up in recent years and there are great-value, well-made costumes to suit every budget. Full costumes are ideal if you’re short of time or if you little ones have their heart set on a costume that is difficult to replicate at home. 4. Borrow an outfit. Reach out to other parents at the school gate or through Facebook groups; many parents have been in your position and will only too happy to pass on old costumes cheaply or for free. 5. Buy generic rather than licensed. I’ll happily sell you a licensed child’s Harry Potter robe, but also have a long black hooded robe that is half the price and can easily be adapted with a home-made badge to look like a genuine Gryffindor robe. You can call Fun Warehouse on 0117 926 4703 or visit their Facebook page @lovefunwarehouse. The post World Book Day: Fun Warehouse’s top tips appeared first on Bristol Shopping Quarter.